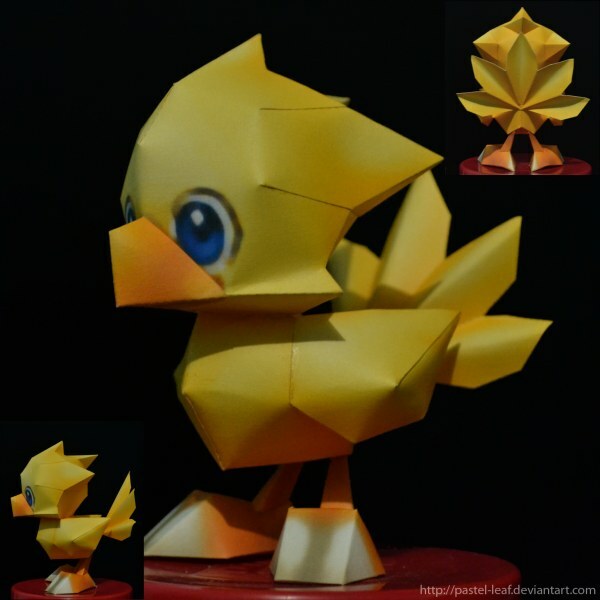 There are several different free papercraft chocobos available on the Internet, but this one is undoubtedly one of the cutest. :) This papercraft was based on a 3D model from the Final Fantasy Fables: Chocobo's Dungeon video game by Square Enix. 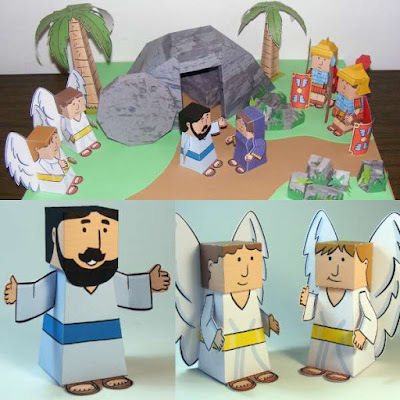 The papercaft template for the model was created by DeviantART member Pastel-Leaf and may be downloaded here. Since Final Fantasy II, chocobos have appeared in nearly every Final Fantasy video game.